When the time came to start planning my elective, my university recommended booking electives abroad with Work the World. The website was very easy to navigate and the case studies and descriptions of each available destination allowed me to make an informed choice about which trip would suit me best. After reading about each placement, I eventually decided to book a trip to Dar es Salaam in Tanzania. After booking the trip, I continued to receive support from the Work the World team. This included everything from phone calls from the team about which clinical areas I was interested in, to a detailed list of essential things to take, which proved very useful when packing! The MyTrip page was extremely helpful, detailing what needed to be done, alongside a timeframe in which I needed to do them by, which meant I always managed to stay on top of things! The Work the World house is amazing! The main local managers, Mark and Alpha, are always around to help answer any questions and help arrange trips and book taxis, and are both so friendly and welcoming. I was initially worried as a vegetarian about the food, but Rehema caters to everyone’s needs, and I loved absolutely everything, with a vegetarian option available at every meal. The pool is always fantastic to chill by after a day of placement, although it’s cold, along with the showers! I decided to work at a regional hospital for my placement, which is the smaller hospital of the two available in Dar. 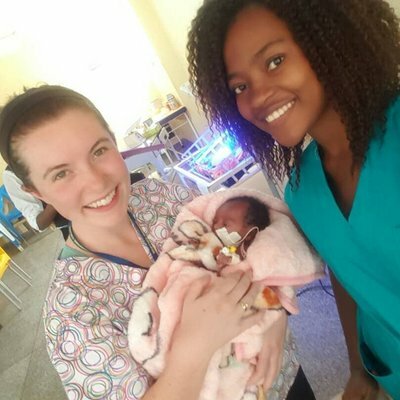 I split my time working in a number of areas, which meant I got a well-rounded experience of African healthcare. The main three areas I worked on were casualty, internal medicine and a surgical ward. However the nature of the placement meant I got to visit other departments such as theatres, the gynaecology ward, the orthopaedics centre and I even got a ride in the ambulance to transfer a patient to the larger teaching hospital, which was quite a bumpy experience! On the first day of the placement, I was taken around the hospital by Mark who showed us how to get there using the local transport of the Dala-Dala, and introduced us to our supervisors in each department. He was so friendly and answered any questions that I had, putting my mind at ease and reassuring me. On the placement I saw a variety of diseases I had not seen in the UK. I managed to greatly increase my knowledge of HIV, meningitis and malaria, as all three were very common. The doctors on the wards were more than happy to answer any questions I had, and explained everything about each disease and the treatments required. Equipment was limited, with patients even sharing beds at times, and sometimes it was frustrating to see unsafe practice such as re-sheathing of needles or the use of cotton wool on significant open wounds, but it was also important to remember that the lack of resources can have an impact upon the care provided. I took lots of donations with me, including bandages, sterile dressings and hand gels. I also took some fob watches as gifts for the nurses who were extremely grateful, as they love wearing them! In return, one of the nurses brought me a kanga, which is a traditional African garment, which is worn by wrapping it around your body. The staff at the hospital were lovely and were fascinated to learn about life in England and the differences in health care between the two countries. I also had lots of questions about Manchester United after telling them I studied in Manchester, as the majority of people I met were Man Utd fans! This also gave me the opportunity to practice my Swahili, which is taught in the house. At the end of the placement, I spent the last week on the Village Healthcare Experience, living with a local family. This was absolutely brilliant, and very different to the hospital in Dar, due to the fact it is smaller and has more of a community feel. Here, I spent time working in a HIV clinic and also helped to run an antenatal clinic and a vaccination programme to vaccinate all the babies in the village. The nurses were eager to share their knowledge, and answer any questions we had around life in rural Africa. 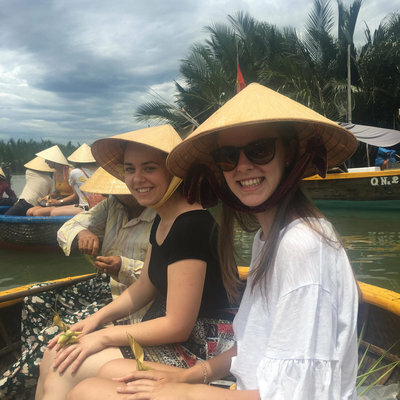 Afternoons were spent on a variety of activities such as visiting an traditional healer, visiting a local primary school, watching traditional tribal dances, and enjoying a bike ride through a sugar plantation. All these were fantastic and I felt like I learnt a huge amount about African culture and traditions. Weekends were spent on a variety of activities. A highlight of the whole trip was visiting Zanzibar. I went twice, and in that time managed to pack so much in! I swam with wild dolphins, went snorkelling, took part in a spice tour, visited Prison Island to see the giant tortoises, and had a guided tour of Stone town and the slave chambers. All this alongside partying at the full moon party at Kendawa, which takes place on the most beautiful beach. I also took an 8 hour coach ride to visit Moshi and Mt. Kilimanjaro, and went to visit the camp where the climbers start their ascent of the mountain, but stopped short of climbing it myself! Another highlight was visiting the former slave town of Bagamoyo, which is where slaves were kept before being shipped to Zanzibar. This was a bicycle tour along the coast, and involved stopping at the numerous sights such as the fish market and slave chambers. Through the Work the World MyTrip page, I managed to easily book a 3 day safari in Mikumi national park, which was completely arranged for me by the WTW team. We saw giraffes, elephants, hippos, lions and even a cheetah, which the guide said was extremely rare, and we were very lucky! Another worthwhile experience was visiting the local orphanage. The children were so lovely and just wanted to play all afternoon. I recommended taking them presents such as pens and buying them things such as oranges and toothbrushes which are available locally very cheaply, as they don’t have very much, and it was quite upsetting to see their living conditions. I spent 8 weeks in Tanzania, and can easily say it was the best 2 months of my life. I would highly recommend a Work the World trip to Dar es Salam to anybody. 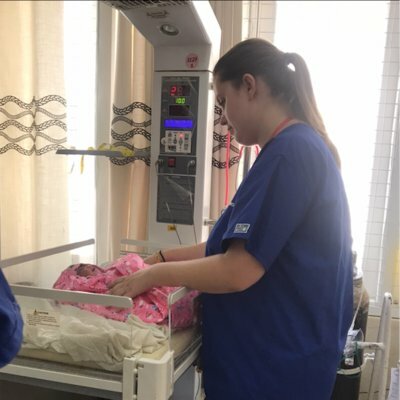 Working in Africa was such a unique experience, and I feel has only helped in my training to become a nurse.